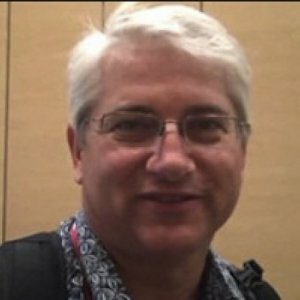 Bob Vachon is a professor in the Computer Systems Technology program at Cambrian College in Sudbury, Ontario, Canada, where he teaches networking infrastructure courses. He has more than 30 years of work and teaching experience in the computer networking and information technology field. Since 2001, Bob has collaborated as team lead, lead author, and subject matter expert on various CCNA, CCNA-S, and CCNP projects for Cisco and the Cisco Networking Academy. He also co-authored Accessing the WAN, CCNA Exploration Companion Guide and authored CCNA Security (21-260) Portable Command Guide. Bob Vachon doesn’t just teach Cisco networking, he’s written books about it. 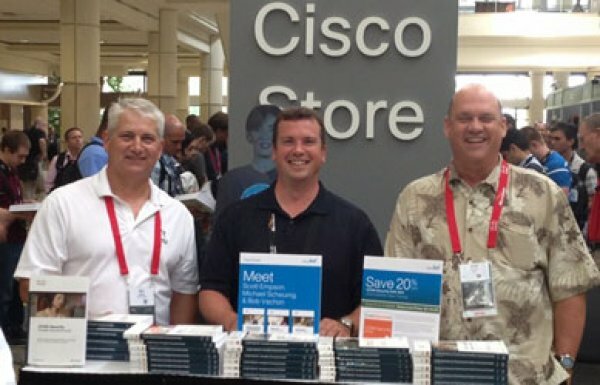 On June 24, the Computer Systems Technology professor was in Orlando, Florida, at the massive Cisco Live networking conference, where he and Cisco Press co-authors, Scott Empson and Michael Scheuing signed copies of their popular CCNA Portable Command Guides, which are go-to books for Cisco network technicians.